~Dripping irrigation system is most suitable for row crops, tree and vine crops where one or more emitters can be provided. Drip irrigation system involves dripping water into the soil at very low rates (2-20 liters/hour) from a system of small diameter plastic pipes fitted with outlets called emitters or drippers. Water is applied close to plants so that only part of the soil in which the roots grow is wetted. With drip irrigation water, applications are more frequent (usually every 1-3 days) than with other methods and this provides a very favorable high moisture level in the soil in which plants can flourish. 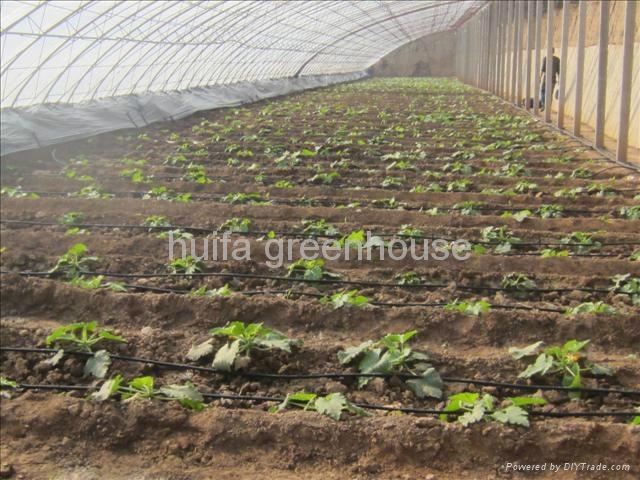 Drip irrigation is most suitable for row crops (vegetables, soft fruit), tree and vine crops where one or more emitters can be provided for each plant. Drip system includes head parts water supply system, filter, drip tapes, PE water pipes, drippers, joints, and valves. And fertilization system is available as client need. 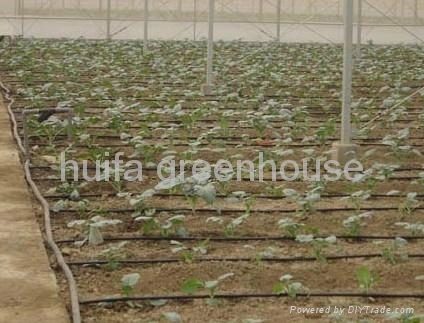 The drip irrigation system is designed according to different crops with different planting methods.